This collection of twelve volumes contains a selection of hitherto unpublished texts that belong to Japonica-Sinica section (Jap. Sin. I-IV) of the Roman Archives of the Society of Jesus. (Texts in Chinese), 2002. This collection of twelve volumes contains a selection of hitherto unpublished texts that belong to Japonica-Sinica section (Jap. Sin. 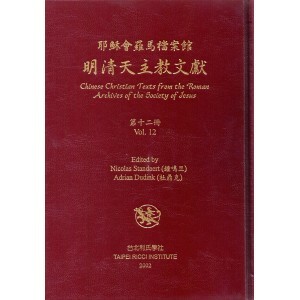 I-IV) of the Roman Archives of the Society of Jesus. The entire section contains ca. 580 titles including duplicates, reprints and other editions. Most of these titles (ca. 520) are in Chinese. Except for some twenty titles, they all date back to the late Ming or early Qing. The first books were already sent to Rome in the early seventeenth century and gradually the library expanded. Albert Chan S.J. has compiled a catalogue with an often extensive description of all the texts. 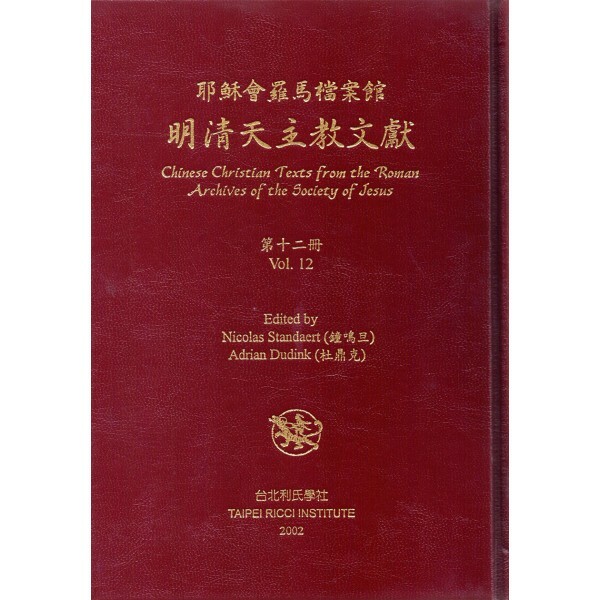 Chinese Books and Documents in the Jesuit Archives in Rome : A Descriptive Catalogue (Japonica-Sinica I-IV), New York : M.E. Sharpe, 2002. A list of all the texts is also included in Ad Dudink’s article “The Japonica-Sinica collections I-IV in the Roman Archives of the Society of Jesus: An Overview” in Monumenta Serica (2002), which article analyses the chronological layers of these collections and introduces the texts that are unique or rather rare. The present publication reproduces some 100 texts from these four collections. 2002.